Happy Sekiro: Shadows Die Twice day! It’s always a momentous occasion to get a new FromSoftware action game and, based on the review scores, this one seems to be one of their best games to date. If you’re excited about Sekiro or if you’ve already fallen in love with it, you’ll be happy to know that the PlayStation store has two free Sekiro themes for you to download to your PS4 systems. The first, called Hirata Estate Dynamic Theme, depicts the main character standing beside a burning structure in the rain. It’s definitely a theme that will set the tone for what’s to come in Sekiro. The second one, called Launch Dynamic Theme, also shows the main character. This one focuses on a closeup of his prosthetic arm and a burning flame coming out of it. Those dynamic themes are cool, because there’s always something happening to catch your eye. There’s a ton of hype surrounding FromSoftware’s latest release and what better way to show your love than to grab these two themes for your PS4? If you still haven’t grabbed a copy of the game, you can check out some handy information here, like the game’s file size and contents of its day one patch. You can also check out the game’s trophy list here. If you’re looking to earn the Platinum trophy, it might not be a walk in the park, but when it’s by FromSoftware, a higher difficulty level is certainly something to be expected. 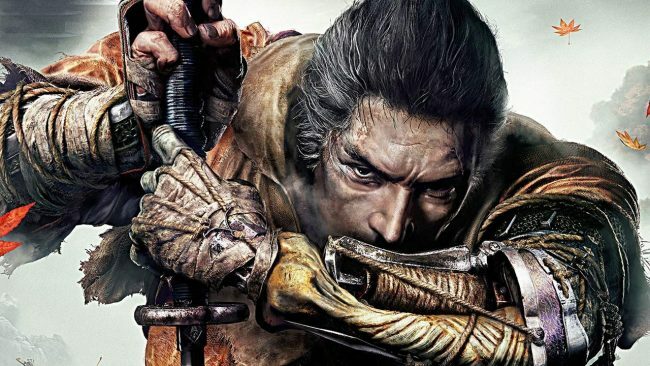 Will you be downloading these Sekiro themes this weekend? Or, even better, do you think you will end up grabbing a copy of the game and trying to be the best warrior you can be? Let us know!